Preity Zinta’s maiden production venture Ishkq In Paris finally has a release date. The movie had been postponed a number of times and will now release on 24th May 2013. Ishkq In Paris was initially supposed to release in September-October 2012 however it was postponed when director of the film, Prem Raj was diagnosed with cancer. At a press conference today Preity said “Prem was very sick. He had to go for a surgery. I decided not to release the film without him. He is not just my director, but also a good friend”. The actress dismissed the rumours that Ishkq In Paris was postponed as it could not find any buyers in the marker “I will be producing again. I want to do bigger and better things. I hear these rumours from one ear and remove them from the other. I can only hit back by making sure that I do good work”, she further added. Preity later tweeted the release date of Ishkq In Paris on the social networking site “Just finished the press conference & I’m super excited to share with you all that #IshkqInParis will release on the 24th of May 🙂 Ting !”. Check out the new theatrical trailer of Ishkq In Paris which releases on 24th May 2013. 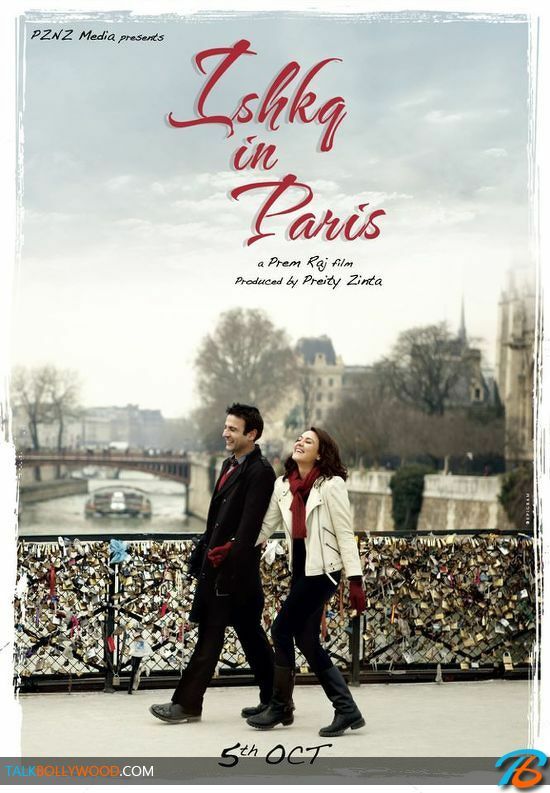 Ishkq In Paris Trailer – Preity Zinta is back!